It’s been a flurry of activity here at CKUT as we wrapped up our annual funding drive over the weekend — a big THANK YOU to all who supported us with donations, giveaways, and love. 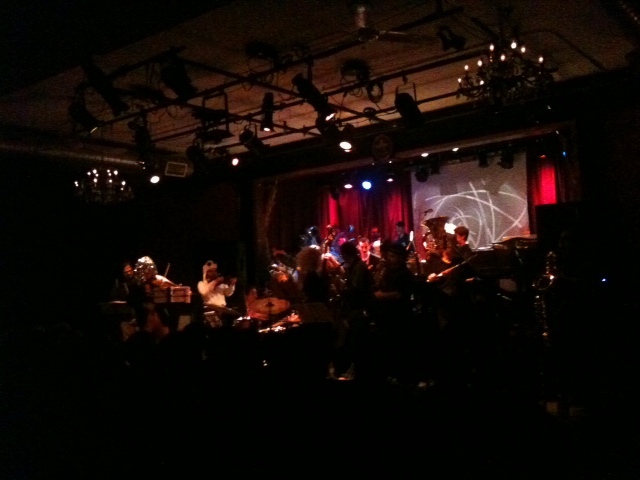 There was even more special programming than usual in honour of funding drive, including a live broadcast from a Ratchet Orchestra show (pictured above). Seeing a 25+ person free jazz orchestra perform in costume to celebrate Halloween was priceless, and I hope that any Montrealers out there also caught the night’s spectacle. back to work, have a good week friends. This entry was posted in Charts on November 7, 2012 by gabriel.